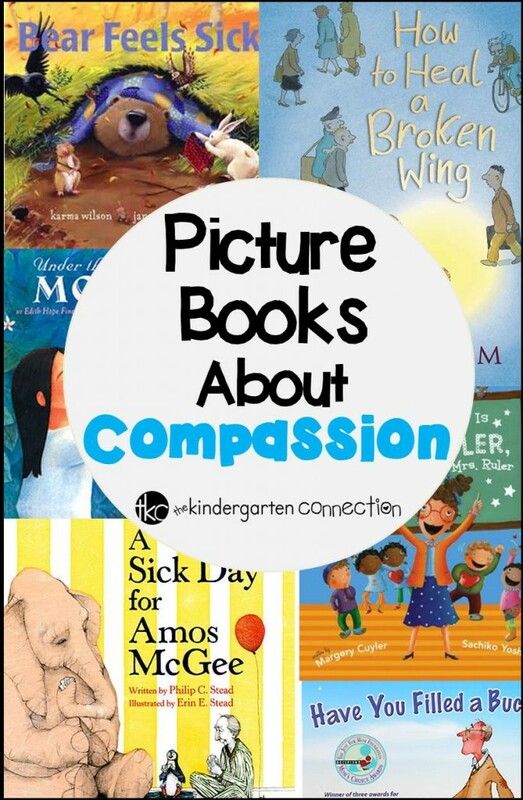 Kindergarten Planet and I loved sharing the best picture books about compassion! Compassion and Kindness toward others are hugely important traits that should be built upon and fostered early on in children. Our words and actions have effects on ourselves and others, and young students are learning this each day and experiencing it first hand. 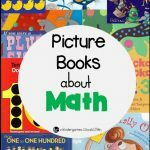 Children learn through our modeling and their interactions, but it is also helpful to have some great picture books handy that they can relate to and learn from! 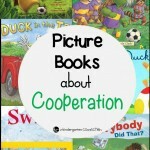 These 6 books are just a handful of the best books about cooperation in my opinion, and I enjoy reading them with my students. The Bear Books are always a classroom favorite! 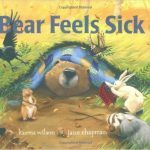 In this story, Bear feels very ill. He is even too sick to play with his friends! Bear’s friends show compassion for him as they all work together to nurse him back to health. In a city full of rushed, hurried people, a little boy named Will notices a hurt bird on the ground. With his mother’s help, he takes the injured bird home and begins to carefully nurse it back to health. A great story showing care and compassion for not just other people, but animals too. Rosalinda is awakened one night by a noise in the garden. She discovers a man taking lemons from her family’s lemon tree and stuffing them into a bag. Rosalinda sets out to save her lemon tree, and is directed to La Anciana or, The Old One. La Anciana helps Rosalinda develop a plan for saving her lemon tree, while also helping the man who is stealing the lemons. This book highlights generosity and forgiveness. I just love the catchy, rhyming title of this fun story! This is a perfect Kindergarten read aloud, but would work for other young readers as well! Mrs. 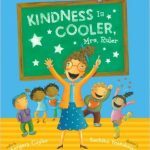 Ruler asks some of her kindergarten students to miss recess, and she is going to teach them a new rule – “Kindess is Cool!” Soon her whole class is doing so many good deeds that their kindess bulletin board is overflowing! Can they reach 100 acts of kindness? Amos always spends a little bit of time each day with his friends at the zoo. But one day, he is too sick to make it there for his visit. His animal friends decide that it is time they return the favor to Amos! This popular read aloud has inspired classroom environments everywhere. This book encourages positive behavior as it shows children how rewarding it can be to display kindness, love, appreciation, and compassion. 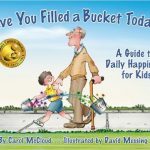 Bucket filling and dipping are the metaphors used in the story to help children understand the effects of our actions and words on others. You chose some really amazing books!!! 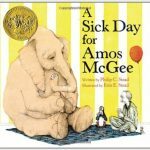 I LOVE Amos McGee and ALL the Bear books, and the bucket filler book is one our guidance counselor reads every year! The other books you showcased are new to me, and they look really great! I can’t wait to add them to my Wish List!! Thank you so much for hosting such an incredibly fun linky, and for sharing such great books! I was excited to learn about new books today!! 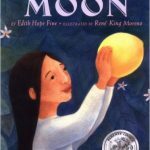 Under the Lemon Moon is on my wish list. Do you have a time of year or theme you pair this title with? The illustrations are gorgeous! Thank you for all the great suggestions. I love the bear books – I have a ton of them. You shared about many new books to me and I like the sound of them. I will have to load up my shopping cart! Thank you for the great linky! I hadn’t heard of Under the Lemon Moon or How to Heal a Broken Wing one. Our school theme this year is kindness and now I have some great new books to share with my team!